Marriage – Stumbler Will Find Her Way !! Early morning I get a distressed call from my mother, there has been a family debacle which needs immediate attention, she says. I am like blurry eyed, half asleep it’s a Sunday for god’s sake. I ask her to calm down, tell her I will give her a call after an hour when I am in a condition to hear and understand. But alas, she digresses and starts complaining instead how I don’t have time, I am not concerned, we raised you, on and on. I decide to give up and instead listen to the family drama which has unfolded. It seems my cousin wants to get married. Well that’s good news, right, she is well educated, single child, earning pretty well and the right age (25 years to be precise, which is like the marriageable age). So what is the problem I ask? “Problem, problem” she says, “it’s not a problem but the mothers of all problems, one the boy is not of the same caste as ours, secondly she has known him for hardly six months and lastly and most importantly the groom’s family wants her to quit her job post marriage”. I am aghast, I know my cousin, if I am ambitious multiply it but 10000, that’s what her ambition level is. So I ask, “is she ready for this?’, and the answer comes as a ‘Yes’. I conclude that YES this is a topic of utmost importance and decide to give my cousin a call. I call her after sometime and she is smitten in love, the boy she says is wonderful, the chemistry is just hard to believe. She paints a mills and boons to me, but seven years into a marriage, trust me no mills and boons can wooooo me now. I try to reason with her if she wants quit working amid the lovey dovey story she is telling me. “Ahh who wants the job when you have all the love,” she quips. But she goes on, quitting was not her idea, but was one of the conditions from the groom’s family. The idea is that they are like really well off and don’t need to depend on the daughter in law’s income, ‘What will the world say”? I left a sigh, I did not know what to say, she was one of us who could never let anything come in between her career. I mean I am OK with the idea of leaving jobs for family, only if I want to and not out of compulsion or LOVE as she puts it. I realized that this was beyond reasoning with her and hence I gave up. She would get married of course, I pray for the best for her. 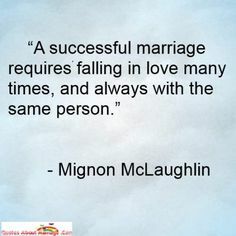 I am into the seventh year of my marriage, and I have realized we don’t remain the same person, the one we fell in love with changes, we ourselves change and so I think leaving or changing your identity for someone does not make sense. Independence, financial, emotional any kind I think in today’s time is very important. I know women who took a sabbatical or totally left their jobs to take care of their families which is perfectly fine if the couple decides it mutually. Relationships should be given paramount importance, but the relationships based on conditions, I don’t know how far they go. I believe a day comes when the loves fades a bit at least, things change and then you ponder on your decision which apparently gets late. So I am ok if my cousin has really thought this through completely, I hope she can see a picture beyond the love web that she has created around her. 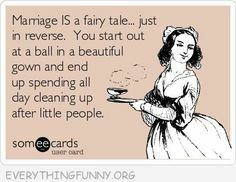 Ahhha that’s like a perfect fairy tale ending. As the train shrieked to a halt at a station, she entered the third class AC compartment. She was followed by a swarm of women and men, girls and boys who had so many luggage bags and cartons, that they shook the entire compartment to place all the baggage in place. She sat down near the window with an old lady with tears in her eyes, the old woman was instructing her to embrace her new life with love and respect. The newly wed bride was looking down at her bangles which were colorful and bright. Her head was covered by her saree which her mother, which I presume the lady sitting next to her was, kept adjusting for her. Her body weight was not very capable of taking the weight of her saree it seemed. She sat on the berth opposite to mine, adjusting the end of her saree. As she was absorbing in all the priceless information to married life that her mother was pouring her, a man, but a boy like man entered the compartment, he immediately had that new groom, the new son-in –law aura to his persona. The bustling in the compartment stopped as everyone started making space for him. The girl flinched and recoiled. The train blared for departure and the family members rose up to leave. The mother hugged the bride who started crying inconsolably. The groom sat in the corner, too engrossed in the newspaper he had brought along. He seemed unperturbed to the whole family drama being unfolded. Then a boy not more than 15 years of age came forward to hug the girl. She cried a little more as the family started to move out of the compartment. And the train left. I could see the whole family huddled on the platform bidding their goodbyes! And slowly the train caught up speed and the platform was left far behind. She sat there glancing outside the window without batting an eyelid. I looked at her and she appeared lost, it seemed that tears had welled up in her eyes, but she hastily wiped them off by the nook of her saree. She sat there unmoved glancing outside the window for a good one hour while her husband busied himself completely in the newspaper and then his phone. The chai wala came chanting “Chai, Garam Chai” in his monotonous baritone. The groom ordered one and asked his bride if she wanted any, she refused. It’s the first time that she had raised her head directly and I got a glimpse of her. She was fair, with a bright red lip color, wide red bindi and red vermillion filling her centrally parted hair. She looked young, perhaps 20. As her husband sipped his tea she again got back to watching the scene outside the window. I got back to the book I was reading before seeing the newlywed couple and put earphones in my ears. I saw the groom approaching the girl and try to hold her hand. She flinched, but she made no effort to free her hand from his grasp but she was visibly discomforted. Her husband caressed her cheek. I saw that she was not willing to be touched, but from the look of her husband he seemed to be believe that he had the right. I coughed to make them uncomfortable on purpose; there was a certain urge in me to free the girl. He moved back a bit and started fidgeting with his phone. As the train moved between the mountains time passed, the groom excused himself for the washroom. She just nodded and kept straining out of the window. Something in her piqued my curiosity. After all she was a newlywed, why did she lack all the charm and happiness around it. I was just going to start the conversation with a ‘Hi’, when her husband barged in with another man laughing and clapping his hands. As they entered he introduced him as a childhood friend, and said that he was accompanying him in his compartment for some time. The friend offered the bride to come along but the groom answered in negation for her. She sat there nodding her head and said she was comfortable here. As he left the bride went back to stare out of the window. I was perplexed by this time and finally muttered a ‘HI’, to which she looked at me confused. I asked where she was travelling, I was being intrusive I guess as she still had not responded to my HI. She did not respond to this either and I decided to go back to my book offended and hurt. Its then when she spoke, “We are going to Mumbai, my husband has a job there”. I told her that Mumbai was a great place, I visit there often for work, and she would like it there. I told her that I was originally from Delhi and that going to Mumbai is always memorable because that place is different and very accepting. She kept listening to me watching outside the window in between. I stopped talking realizing that I had been talking for quite some time now. After a while she said, “You like going to Mumbai because you always have a chance to come back to Delhi, the place which is home to you”. I was baffled by this response, I wanted to ask some more but she added on her own preventing me feeling encroaching. She said that her husband four months into their courtship after engagement and one month before marriage had announced to her that she would not be coming back to her place ever. If any of her relatives wanted to visit her they had to travel to Mumbai. He wanted nothing to do with the place anymore, where apparently he was born too but now he felt the place was too tawdry. I gasped at her, as she moved her stare from outside to me and smiled with tears in her eyes. I asked her why had not she reasoned with him as this was not a practical thing to do. She said that theirs was an arrange marriage and reasoning with him would have meant calling for trouble. She had not told anyone in the family except her brother who was too young to do anything. She had decided to live with it. I could not say anymore, her tale had explained her sadness; she was leaving behind the city she grew up in, the family she grew up with someone who had decided to start the relationship on his terms. I could not muster the courage to talk to her anymore; I opened the book and started reading again. She was still looking out of the window when he came back again with a tray of food. She did not want to eat but he forced her to. As the train screeched to a halt again at a station, a young couple entered the compartment, they sounded happy and gay. They sat next to me and I could see that girl would not stop talking. She instructed her husband to keep the luggage in a specific way, her bags on the upper berth, take out the chargers from the bag and the husband abided. As they sat down they said their hellos to all sitting in the compartment and I responded amicably. Just then the girl pointed out, “Darling, you realize that this summer we have to go to my parents’ place to stay as you promised, you know they miss me a lot, right”. And the boy answered in affirmation. I looked back at the bride sitting across me, she gave me the look as to say look at the irony. Just then the all talkative couple left to see the outside view from the door of the train at the behest of the girl. And the groom sitting uttered “What a henpecked husband”. I flinched in disgust and anguish. Arrrgghhhhh, early mornings are such a chaos always, ever so I got married I don’t remember having a smooth morning to work. For starters my husband and I share our bedroom’s bathroom, neither of us is ready to compromise and use the guest bathroom, for the simple reason that ours is much better, (It’s a dream come true bathroom). All through the day we are out at work, and have different timings to get back home, so that gets sorted. What never get sorted are the mornings when we both have to leave at the same time. And it is such a nuisance!! SO I get up early in the morning, finish my chores in the kitchen and other parts of the house, giving instructions to the domestic help and everything, it roughly takes an hour, and by the time I am ready to march for a nice shower, BOOM my husband is up and already marching his way. All my cries to spare 15 minutes because I know this is all I will take to get out of there go in vain. And I know he would take no less than ONE hour inside. Yes ONE hour, this is the minimum he takes inside. I fail to fathom what the hell he does inside. One hour on a working day trust me it is too much when you know you are sharing the bathroom. In the meantime I am cribbing, knocking frantically on the door, but he remains unperturbed, and when he does come out, it seems like a tornado has hit the place. I need a minimum of 15 minutes to compose myself, clean the bathroom a bit and then finally plunge to take a bath. And as it would be I hardly have 10 minutes to take a bath. Isn’t it irritating?? So all my mornings are like this, it is only on the weekends that I can indulge in some soothing time in the tub, and enjoy. 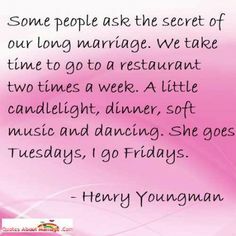 But what keeps me wondering always is the same issue after five years of marriage, “What does he do Inside for an hour ;)”. 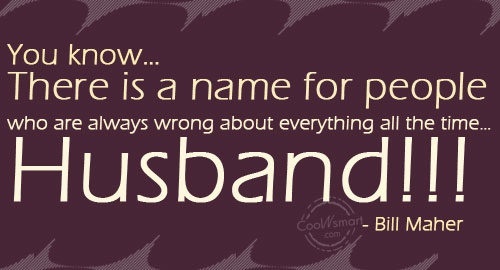 Perks of being MARRIED I guess! Guy Sees girl, girl sees guy, their eyes meet, heart skips a beat, stomach gives a churn, a wave of electricity rushes through the body, and BOOM LOVE Happens!! Like really, love at first sight, Arrrrghh, Nah that’s just dream, I don’t believe in love at first sight. Dating begins, they meet, talk, stare, touch, feel, hug, kiss, get intimate, and love blossoms, they remain inseparable, can’t do without talking each day, have to meet at least once a week, can’t think of life without one another, and blah blah blah. They MARRY!! Plain and Simple. And just like that the dream shatters. Life changes, turmoil’s begin, love diminishes, diapers come in, eyes meet only in anger, stomach churns at the thought of POOP, feel like giving electric shock to one another so on and so forth. And we start finding ways to rekindle our relationship, get back the missing spark, go back in history when fell in love. Hmmmmm….. So Here I am spreading my GYAN on the perfect marriage concoction, let me think, let me prepare the perfect recipe for you, Oooooopsss, SORRY, I just can’t do that for you, Can I. I don’t know who you are, what you are like, do you like cuddling, or do you like being pampered, are you the controller, or are you all in for PDA. I don’t know if you share your bank accounts, or signed a pre-nup, or are you a stay-at-home mum, or an established professional. I don’t know anything about you. So I cannot possibly meddle into anybody’s life, judge it and decide the ways to improve because I don’t know a thing about you. What works wonders for me probably might instigate an argument in your relationship. So eat other’s head off, if that works for you, fight over T.V. soaps, opinions on politics, bread, dinner, who cleans the poop of your angel. I will sit back in silence and judge but not utter a word. Because I have stopped meddling in other people’s lives, Yes I have. But you see I can’t do without spilling a few beans, I just have to, it is me, the BEAN Spiller, so just a few average reasonable suggestions from my end. Your Husband is not everything, He is not, no one is, no one can be, so focus on yourself, ask more out of yourself in life, and stop expecting too much, he cannot do everything. You want something in life, financially, emotionally, go ahead, the world is open for you, earn it for yourself (But you yearn for something physically, come back to your dear hubby ). Be realistic, for him as well as yourself. 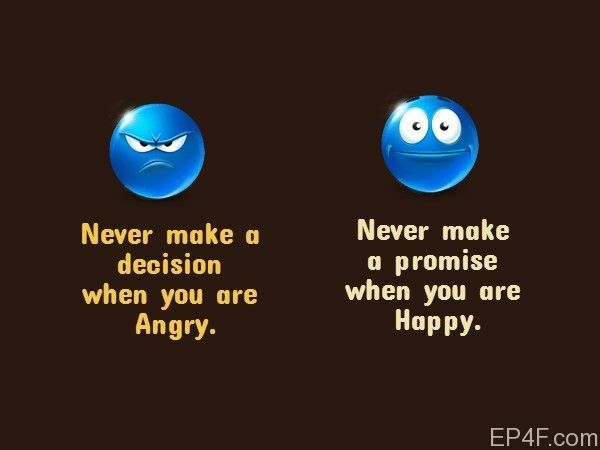 Never make a promise when you are happy (Trust me it is their game plan, to get us all happy dappy and get our nod on things we normally would not give a nod on), and Don’t make a decision when you are angry cause invariably you will regret it later. O.K. now since I have started on this topic my last piece of input, not advice, just remember that not all things can be solved, but it can be worked upon, always, don’t fret if it does not lead to the conclusion you desired, it might never will, just keep going, it is workable, everything under the sun is. So do not give up. Not on someone your heart skipped a beat for, because skipping a beat is not normal medically, let this unnatural thing persist, because it happened for a reason and the reason is both of you together. So marriage is like this association between a nut and bolt, sometimes we buy the smaller bolts, sometimes a larger nut, and they don’t always fit perfectly on first try, but we make them fit, change them, replace them but make them work, so if we can do that for a nut and a bolt, we can do it for our marriage too, Isn’t it !! I took a day off today to spend some time at home, I did all the things I loved doing (As much as I could with a toddler fiddling along), read a long pending book (Tried finishing it but could not Alas! ), played with my little munchkin, tried teaching her new things (And she learns fast, touch wood), and ended up watching the idiot box when my honeybun took a nap and I loved it. I stumbled upon “P.S. I Love YOU”, must I say here that I am not a very big fan of the movie or the book. Somehow it never appealed to me much, I am all for romantic flicks but this one never touched a chord. And my friends were huge fans!! But today when I watched it, I was hooked to it like anything. 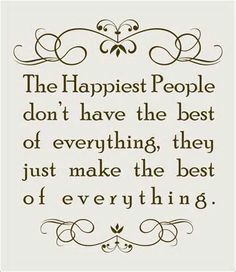 Probably it was because I am terribly upset with my husband lately (over issues that feel extremely insane now), like Holly is with Gerry in the beginning, or perhaps because it made me realise that life is so precarious, we don’t know what is in our stock tomorrow. Hmmm it cropped a lot of questions in my mind like, why are we so entangled in our everyday chores that we fail to take time out for our love, why does our ego come our way, why do we decide not to say sorry or bend forward or backward, why do we become so stubborn, why don’t we realise that probably love is all that matters, to stay happily. It brings such peace of mind, such completeness but still we try to go against it because things are not turning our way. Money, a perfect house, luxury, a perfect life, that becomes priority, and in the process of achieving all this we forget that it was love that brought us together, love that kept us together till now and not these materialistic comforts of life. But it is easier said than done, as much I decide to bury these whimsical thoughts in my head and let love only suffice, I fail. It does not come easy. But it also scares me to my soul to think at times the amount of time or even days I spent being angry with my husband, I am missing out on so much, wasting such precious time which could be spend loving and being loved, but it just does not happen. Not having my husband around for any possible reason terrifies me, I love him, I love him to the core, he is my best friend, my companion, my soul mate, the bond that I share with him ever since we both were teenagers cannot be replaced by anything. He is a wonderful man, and I need to understand that time flies, it is never the same, it never comes back. These are such clichéd lines but so true. I need to start living in NOW, not worry about tomorrow; perhaps future will pave a much better path than I anticipate. But I am such a planner, I need to know what holds for me in the future, I cannot live without knowing what is coming ahead. And this idea occupies the better half of my brain most of the time. I don’t need to worry about my new house, my daughter’s education, her marriage, a better brighter future, all will be taken care of by my man and I am there to support him. But Alas I am not very sure for how long I can cling on this thought or it will again pass as it always does once the impact of the movie fades. But I am reiterating whatever I decide each time I ponder after a fight, Living NOW is important, being loved is important, keeping away your differences and still loving is important, cherishing today is important, keeping no grudges is important. We can always make a better life if we are together, loving each other, but this time, this will not come back. We should be able to respect what god has given us, blessings of being loved by someone. It is one life that is given to us we should able to give it our best so that we don’t have any regrets later. Life is mad but coming out sane is all is needed. Let us not give life a chance to make us feel remorseful, let us be around the one we love and make him feel special NOW. Let us embrace our today so we can be happy and blissful tomorrow. Similarity and Not Opposite Attract : The New BuzzWord.